"Of all the enormities committed by Americans in the nineteenth century ­ including slavery and the Indian wars ­ the worst was the invasion of the South, which destroyed some twenty billion dollars of private and public property and resulted in the deaths of some two million people, most of whom were civilians ­ both white and black." David Aiken, editor of "A City Laid Waste: The Capture, Sack, and Destruction of the City of Columbia"
Finally, here is the first book-length survey of the Union's "hard war" against the people of the Confederacy - one that included the shelling and burning of cities, systematic destruction of entire districts, mass arrests, forced expulsions, wholesale plundering, and murder. In a series of compelling chapters, Cisco chronicles the St. Louis massacre, where Federal authorities proceeded to impose a reign of terror and dictatorship in Missouri. He tells of the events leading to, and the suffering caused by, the Federal decree that forced twenty thousand Missouri civilians into exile. The arrests of civilians, the suppression of civil liberties, theft, and murder to "restore the union" in Tennessee are also examined. Women and children were robbed, brutalized, and left homeless in Sherman's infamous raid through Georgia. In South Carolina, homes, farms, churches, and whole towns disappeared in flames. Civilians received no mercy at the hands of the Union invaders. Thoroughly researched from sources including letters, diaries, and newspaper accounts of the time, Walter Brian Cisco's exhaustive book notably pays careful attention to the suffering of African­American victims of Federal brutality, revealing that wherever Federal troops encountered Southern blacks, whether free or slave, they were robbed, brutalized, belittled, kidnapped, threatened, tortured, and sometimes raped or killed by their blue-clad "liberators." Apologists for Lincoln's hard war continue to downplay the suffering endured and the damage done, blame the victims, or call some of the above incidents "accidents" or "mistakes." Many also cling to the Lincolnian myth that only by the most horrendous of wars could the slaves be freed, ignoring the fact that the rest of the Western world managed to bring an end to the institution without bloodshed. 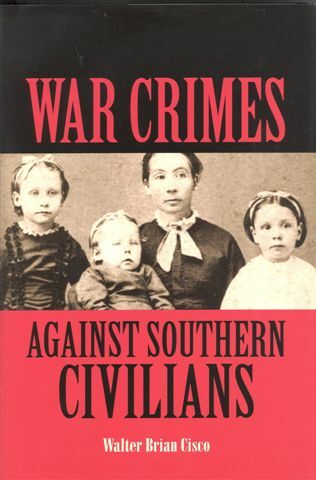 This book serves to set the record straight and to show that the war on Southern civilians was not justified, despite the convictions by many that such a war was necessary to save the union. Confederate Warrior, Conservative Statesman, considered the definitive biography of Hampton and the 2006 winner of the Douglas Southall Freeman History Award. 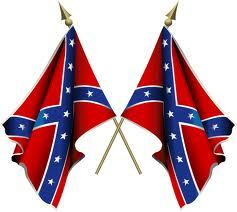 He lives in Orangeburg, South Carolina.